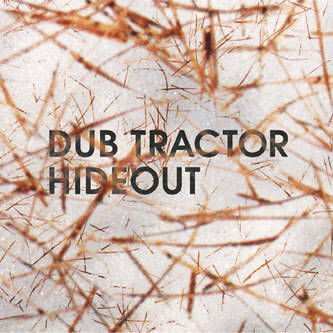 Although ostentatiously considered to be a certain breed of indietronica, Dub Tractor (aka Anders Remmer) unites his love of all things organic and digital with a cohesive integration oft lacking in many of his peers. One third of Danish supergroup System 3, alongside Thomas Knak (aka Opiate) and Jesper Skaaning (aka Acustic), 'Hideout' marks Remmer's fifth solo LP in the Tractor seat and sees him furrowing a breed of machine sheathed songwriting that displays a renewed focus on guitar, bass and vocals. With the nine songs on 'Hide Out' partially bleached by a recording technique that employs ancient microphones and wisps of tape fuzz, Remmer has fashioned an aural equivalent of projecting a melancholic cine-film though a frosted-glass window. Opening with 'I Woke Up', gravely electronica is crushed underfoot as Remmer introduces waves of shoegaze guitar and Space Invader rejects - atop of which his vocals are both buoyantly optimistic yet marbled with a Stygian pathos. Heartbreaking in its tenderness, 'I Woke Up' is merely the first of many highlights, swiftly followed by the whispered mantra at the thrumming heart of 'Much Better Than This' and the grandstanding (almost cathedral) chimes of 'Droplets'. Elsewhere, 'I Forgot' is as pure a slice of electrocoustic pop you'll hear this year, 'Begin and End' takes its marble-drop beat then incrementally teases it into silence through a gorgeous guitar part, whilst album closer and title track 'Hideout' is seven shades of lovely.